Equal parts and assemblies are automatically recognized and assigned part and assembly numbers. An example of an automatically generated part drawing. 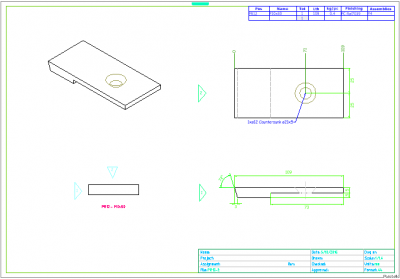 Parabuild generates quality 2D part and assembly detail drawings directly from the 3D structure. Dimensions are automatically added and AI technology ensures readable placement for the dimensions. An example GA drawing, sourced from a customer. An example of a generated member order list that includes endcut images. Parabuild stores the complete information related to the building in the virtual model. From that drawing information Ifc files can be generated, or Ifc files can be converted in to Parabuild drawings. This allows you to exchange BIM information with other software that support the Ifc format. It is possible to exchange 3D models bidirectionally with other software such as : Revit, ArchiCAD, SCIA Engineer, Trimble, Tekla and many others. Generate NC files at the click of a button. DSTV files for plates and profiles, DXF files for plates. It is possible to output Parabuild 3D objects to step files. For this feature the BricsCAD Communicator module needs to be installed on top of BricsCAD. 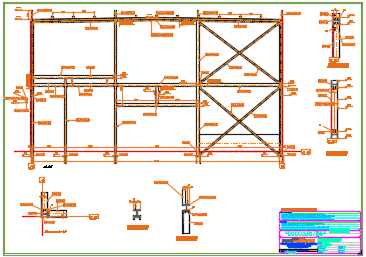 AutoCAD and BricsCAD are famous for their easy creation and editing of 2D drawings, and Parabuild takes full advantage.